Journey onto this hassle free, flexible 1 Day Private Tour of Nikko, a charming town surrounded by the lakes and mountains of Nikko National Park, by vehicle from Tokyo. Accompanied by a friendly, English speaking driver, visit the historically significant and grandiose Toshogu Shrine, a UNESCO World Heritage Site. Savour a traditional Nikko specialty for lunch, the Yuba Gozen Set Meal. 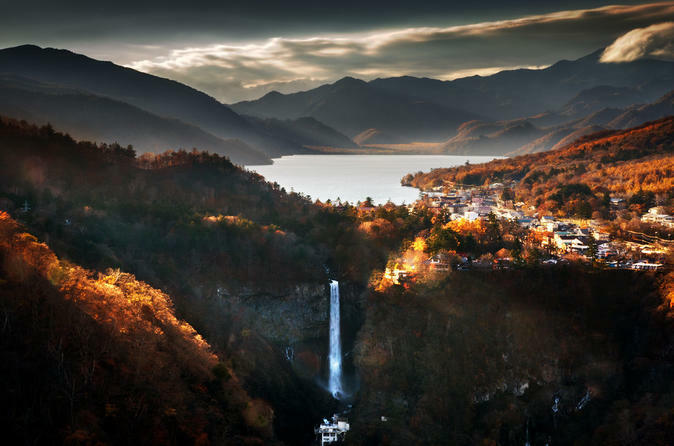 Experience the jaw-dropping Kegon Falls, followed by the serene Lake Chuzenji. Enjoy an extremely scenic drive along the "Japan Romantic Road", hugging the mountains and recommended as one of the best drives in the country by locals. From shrines to scenery, this Nikko trip is a great representation of historic and natural Japan. Experience a scenic drive along the "Japan Romantic Road"
NOTE: This is a suggested itinerary - you are welcome to customize it. You will be picked up from your hotel in central Tokyo and be taken to the sites, in the type of vehicle of your choice. This private charter is perfect for larger groups, especially for families, as it lets you see more in a day with utmost ease and hassle free. It also means that you can enjoy the day at your own pace. This 1 Day Nikko is fully customizable, bringing you and your group to some of the most beautiful and important stops in the region, from the Toshogu Shrine Complex, to gorgeous Kegon Falls and Lake Chuzenji. A tradtional and delicious Nikko style meal, the yuba gozen, is recommended. However, you may opt for your own choice too. The drive along the "Japan Romantic Road" is an experience in itself. All with our expert, English speaking driver with you every step of the way. *NOTE: This is not a guided tour. Our drivers, however, speak English well, are able to be simple guides and know the areas/routes expertly.